I have always admired my violin, which I bought from its maker in 1987, when it was nearly brand new. David VanZandt lives in Seattle, and every once in awhile I take my beautiful violin home to “Daddy” for him to touch up the varnish and do any needed adjustments. I found that, once I had my new Guadagnini-copy instrument, it made me a better player. 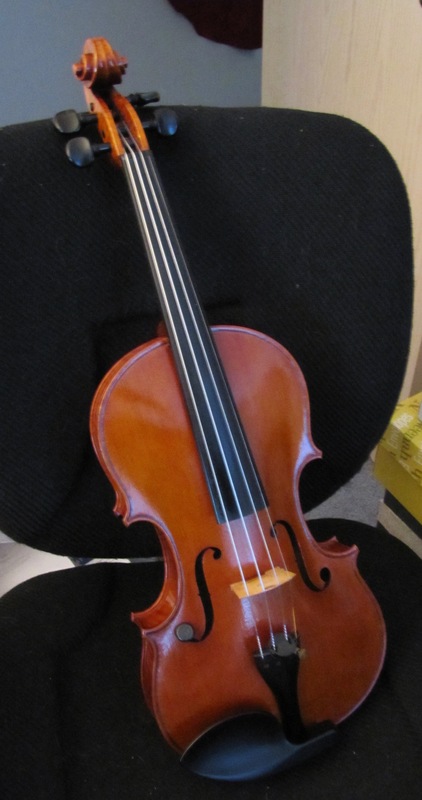 It sounds so beautiful, my violin teacher said it sounded much like her 18th-century Italian instrument. It has a warm, brown varnish, and in the sunlight it just glows. It sounds more beautiful, and becomes more valuable every year. And it’s a work of art, in addition to being a musical instrument. My husband just sang at a choral concert last night that was accompanied by strings – they performed the Duruflé Requiem among others – it was magnificent. The strings in that piece thrum like a sleeping lion. Aesthetically, I am in awe of the gorgeous curving design of violins & the glow of the wood. Incredible that something so airy can be fashioned by human hands to emulate the human voice. Thanks. I’ve tried to take good care of it, and it still has all its corners! The varnish is brittle, however, and it needs touchup every so often. 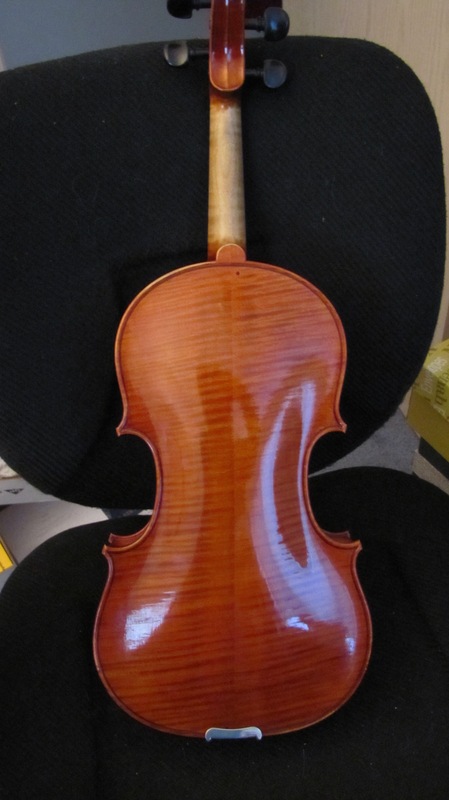 David isn’t using that particular varnish any more, and he’s also not using the Guadagnini model either-he’s using Stradivari like most other modern violin makers.